At Refined Rustic Furniture we get asked all the time. In this blog post we will discuss building tables tops with dimensional lumber. This tends to be a good start and a popular pick for most woodworkers. When deciding on a table the look, style, colour, grain, and other factors come into play. There are 3 types of wood that tend to stick out as the most popular. Many woods can be used but our customers prefer Walnut, Cherry and Hickory. 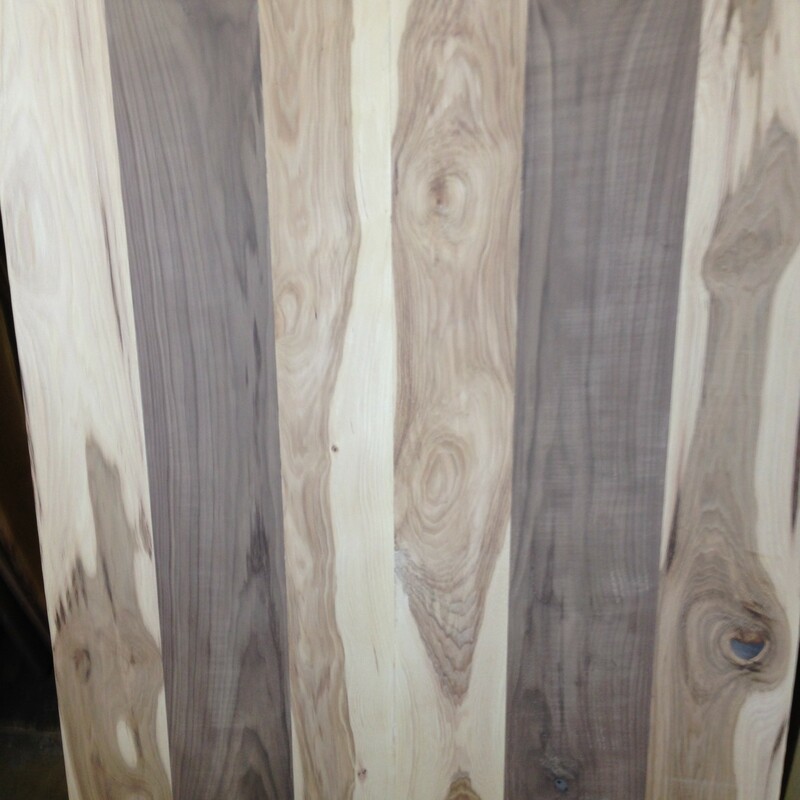 These 3 types are great for tables and we always have 1″ and 2″ boards in stock. When selecting wood you should look for straight flat pieces with minimal twists, especially when working with 2″ materials. Our clients’ love the fun of treasure hunting through a lift of wood and selecting their favorite pieces for a mock-up tabletop. The ultimate arrangement features two live edge pieces for the outside edges. Walnut: Walnut hardwood is the top most popular chosen wood type due to its dark/light variation and colours mixed with the hardness and ease of use. Tables can be made by joining pieces of dimensional lumber together. Any pieces over 1″ thick work best. 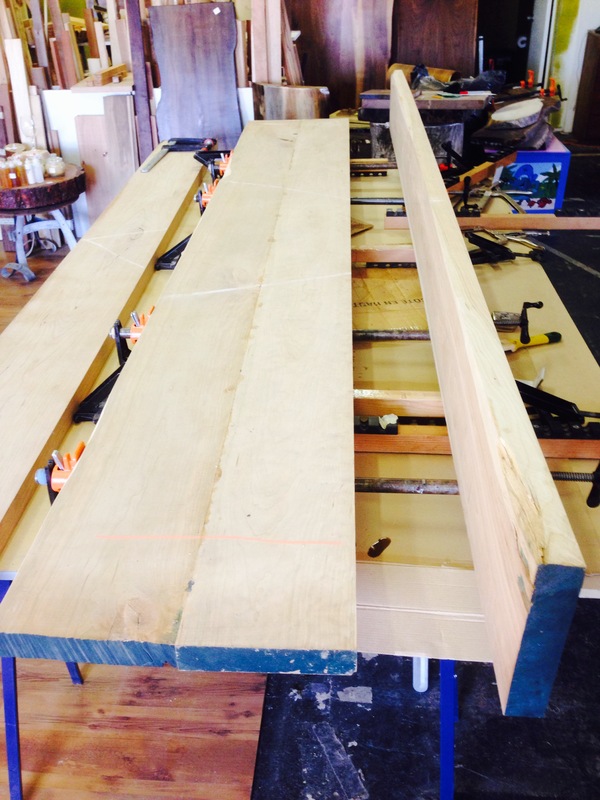 The most impressive tables are made with 2″ pieces or two 2″ slabs joined together. Over 2″ pieces can be difficult to work with and will take extra care when joining together. 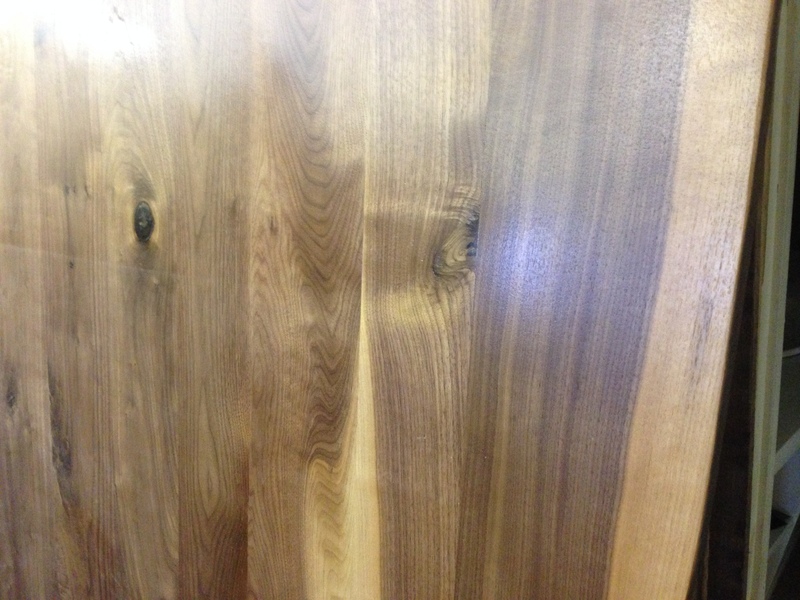 Cherry: Very popular and well recognized with many furniture builders. Many woodworkers use Cherry wood exclusively. Cherry takes on stain very well and colours can be matched to any decor. 2″ Cherry is ideal for tables and is often used for the larger table choices such as board room tables and larger dining tables. Black marbling and other fine grain lines are often seen in the wood. Many tables are put together with great care put into the grain style and how they flow together from one piece to the next. Hickory: Designs such as Ambrosia, Bear claw marks and other artistic designs are easily seen in the grain. By far the toughest, hardest wood of the 3 types we most often use. Hickory resists denting, chipping and other abuse. Once joined together these tables are virtually indestructible. 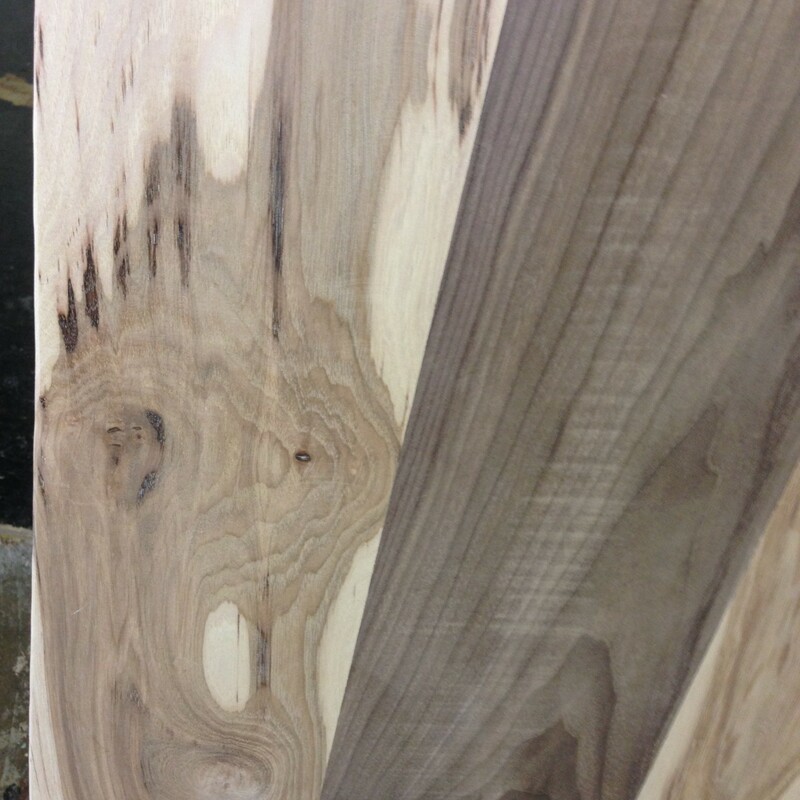 Hickory is a difficult wood to work with since it is so hard and resists bending and shaping. Extra compression clamps are recommended when joining this wood together. Sanding and finishing will require some more time. Once the piece is finished you’ll have one of the toughest tables available. 1″ thick tables are more then sturdy enough for most uses. 2″ tables require extra effort to fit together perfectly. Many other types of wood such as Maple, Beech and Oak are great for tables. However when it comes to the most common pick, our customers ultimately decide what’s best for them. The 3 above hardwoods will be safe bets and are normally the types that people gravitate to when choosing something to last a couple generations or more. If you can’t decide on one type you may consider mixing them together.